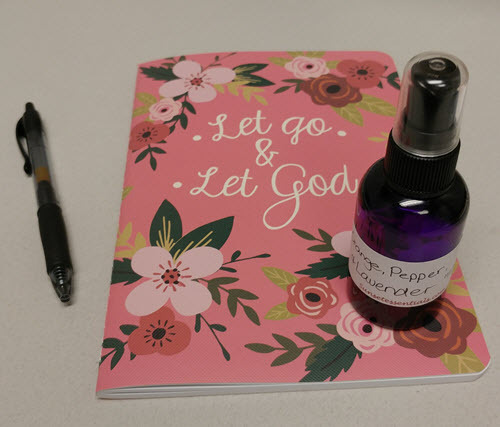 I wanted to start a post where I can keep track of essential oil blends that I like. The first one is in the photo. Lavender is too strong for me, but I like one drop of it in some of my blends. Grapefruit is best by itself or with a subtle base note. Rosemary is best by itself, too, since it has such a strong and cleansing scent. I'm learning how to blend it now. Frankincense and Atlas Cedar are too strongly sweet for me by themselves. Maybe they could be added to the right blends? Frankincense seems very soothing and pleasant to me when I have a cold/flu. Cypress and Mhyrr keep me awake. Cypress seems like a weak scent - maybe I'll try combining it with my mid-day blends.